Montclair State University has spent the last decade or so trying to obtain approval from the County of Passaic and the City of Clifton to construct a roadway which would intersect with a county road. Both the County and the City raised concerns about the proposed development and Montclair State made significant efforts in an attempt to address those concerns. In 2014, Montclair State submitted an application to Passaic County for a permit to install traffic controls at the intersection. Montclair State did not seek permission from Clifton or Clifton’s Land Use Board based upon belief that, as a state organization, it was not subject to local regulations. Montclair State asserted this position largely based upon the 1972 New Jersey Supreme Court case of Rutgers v. Piluso. The question in the Rutgers case was whether Rutgers University was subject to zoning ordinances of the town where it was located, Piscataway. Piscataway had an ordinance which restricted the number of matriculating students’ “family dwellings” Rutgers could have. When Rutgers sought to build more, the town denied the request, citing the ordinance. 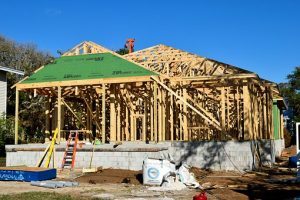 Rutgers then brought a suit seeking a determination from the court that Rutgers was not subject to local zoning ordinances because it was an instrumentality of the State of New Jersey. Our transactional attorneys handle many types of commercial and real estate transactions, from closings on homes, office buildings, factories, to commercial transactions including the sale of all or part of a business. The overwhelming majority of these transactions require the purchaser to take out a loan to finance the purchase. Whether a buyer qualifies for the loan is one of the main contingencies in the transactions. In many instances the purchasers will have already obtained financing before they talk to us about the transaction. However, once we are involved in the transaction one of the things we stress most, based on long experience, is that the application for the loan must be one hundred percent honest. Anything less than perfect honesty with the bank is a crime. The days when “Liars Loans” was acceptable are now over – in fact, that day existed only in fiction. Our transactional attorneys’ extensive experience in New Jersey real estate and business transactions has convinced us that honesty with the bank is the only way to go. In New Jersey, every municipality is required by law to hold sales of unpaid property taxes at least once each year. The municipalities sell the tax liens to obtain the tax revenue which they should have been paid by the property owner. The municipal tax collector conducts the sale which allows third parties and the municipality itself to bid on the tax sale certificates (this is the document evidencing the taxes due and owing). The successful highest bidder then pays the outstanding taxes to the municipality and become the tax sale certificate holder. Then the holder records the tax sale certificate with the county clerk, who records the tax sale certificate as a lien against the property. Purchasing the tax sale certificate is merely the first step. The tax sale certificate holder does not own the property, but merely has a lien against the property. The amount of the lien is the amount paid for the tax sale certificate plus interest (which normally accrues at a rate of 18%), costs and fees, including the certificate holder’s attorneys fees. The tax sale certificate holder must foreclose on the tax lien in order to become the owner of the property. The certificate holder has priority over any other liens against the property, including mortgages and other lien holders. The certificate holder must wait a statutorily proscribed period after the date of the sale of the certificate to initiate a foreclosure action. A municipality which purchased the certificate must wait six months; any other purchaser must wait two years. Non-municipal tax sale certificate holders must provide thirty days written notice of their intention to foreclose before they can begin the foreclosure process on the certificate. This notice must include the amount which the delinquent property owner can pay to redeem the tax sale certificate and have the lien released. The notice must be sent by certified mail return receipt to all owners and to the municipal tax collector. Then, if the property owner does not redeem the tax sale certificate within that 30 day period, the certificate holder is permitted to file its complaint for foreclosure. The complaint must name everyone who has a recorded interest in the property, which includes all mortgage and lien holders. The complaint must identify the property, the property owner and state the redemption amount. It must be served by certified mail return receipt. The property owner continues to have the right to redeem the tax sale certificate up until date of the final judgment. If the certificate is redeemed after a foreclosure action has been commenced, the property owner should file an Affidavit of Redemption and the foreclosure action will be dismissed by entry of an Order. Tagged: "New Jersey Foreclosure", "New Jersey property tax" and "New Jersey tax sale certificates"
When you purchasing a foreclosed property, you often get a property which seems to be worth more than you are paying for it. One of the reasons you are getting a bargain is because most selling banks will only accept your offer if you will agree to accept insurable title. They will not guarantee that you will get marketable title. If you are purchasing a property in foreclosure in New Jersey, it is important to understand the distinction and know what you are getting. The selling bank will often add an addendum to the contract for your purchase specifically stating that the bank will often provide only “insurable” title at closing, as opposed to the standard contract provisions requiring a seller to provide “marketable” title. The bank will further offer to pay for all or part of the costs to obtain title insurance if the buyer obtains the insurance from the title insurance company designated by the seller. While this can result in significant savings, it is important to understand what you will get (and what you will not get) as part of this bargain. 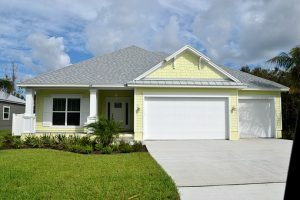 Prior to issuing a policy of title insurance, a title insurance company will conduct numerous searches on the property to determine if there are any clouds on the property’s title, if there are issues with the deed, the ownership status of the property, any tax liens against the property, the status of property tax payments, and judgments, etc. The question is, will you be satisfied with receiving insurable title, as opposed to marketable title? 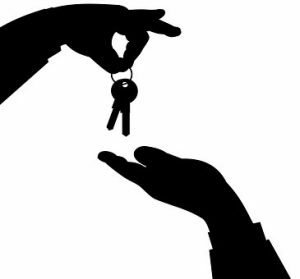 “Marketable” title means that the chain of ownership to a particular piece of property is clear and free from defects. It can be sold without additional effort by the seller or potential buyer to “clear” the property’s title. To transfer marketable title, a seller must cure or repair any defects found during the title search, such as, for example, paying off liens and/or having them discharged as of record. Tagged: "New Jersey foreclosed property", "New Jersey insurable title" and "New Jersey marketable title"
Finding a home you want to buy and making an offer which is accepted by the seller is only the beginning of the process to purchase a home in New Jersey. The next step is signing a contract to purchase the home. The contract is a written agreement outlining the parties’ rights and responsibilities. If your contract was prepared by a realtor, it will be subject to a three day attorney review period which allows three business days for the contract to be reviewed by the parties’ respective attorneys. Either attorney may invalidate the contract for any reason whatsoever within the three day period or either attorney may request amendments to the original contract. The amendments will be in the form of a letter addendum or rider to the contract and will require both the sellers’ and the buyers’ signatures which signify their agreement to the amendments. 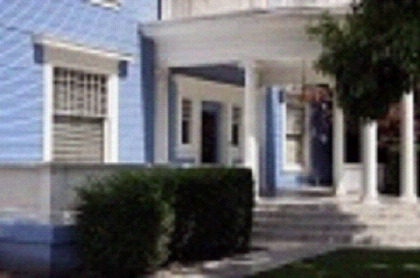 After attorney review of the contract has been completed, you now have a valid and binding contract to purchase the home. The next step is to make arrangements for a home inspection as soon as possible and within the time period specified in the contract. Contracts are usually subject to home inspections (structural, water, septic, termite, etc.) and mortgage contingencies. Most purchasers prefer to have a licensed home inspector inspect the premises for defects. This is highly recommended since purchasing a house is a substantial investment. You should select the inspection company and have the realtor arrange for an appropriate time to inspect the house. The attorney will not usually be involved with the selection of the inspection firm nor the scheduling of the inspection. However, if the inspection discloses any problems which need to be addressed, the lawyer will negotiate a resolution with the seller’s attorney. While the inspection process is proceeding, you should select a lender and begin the mortgage application process as soon as possible since the contract only provides for a certain number of days to arrange for a mortgage. 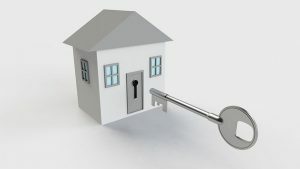 If you do not obtain a written mortgage commitment from your lender within the time specified in the contract, the transaction could be placed in jeopardy because you would need to either cancel the contract or proceed knowing that you risk being forced to go through with the purchase even if you cannot get a mortgage loan. A representative of your lender should be able to inform you at the time the application is made how long you can expect the lender to take in issuing a mortgage commitment. You can expect the lender to require at least 30 days from submission of the loan application to issue a commitment. When you receive your mortgage commitment, read it carefully and in its entirety before signing. Your signature indicates your acceptance of the terms of the commitment. This is a contract made between you and the lender. It outlines the terms of your mortgage; consequently, be sure you understand it before you sign. The mortgage commitment will state a time period or a date after which the commitment is no longer valid. This is a most important date, particularly if you are “locked-in” at an interest rate during a period of rapid interest changes, since your purchase and financing must have taken place by that time. A law known as “Chapter 91” allows municipal property tax assessor’s to request income and expense information from a New Jersey property owner in order to assist in determining property “values” for its tax assessment. While this, standing alone, does not seem overly burdensome, if the property owners fail to respond to the assessor’s request pursuant to Chapter 91, property owners are barred from appealing their property tax assessment. However, the law has strict provisions which must be followed by municipal assessors and taxpayers. The municipal assessor must send the request for income and expense information in writing, and the request must be sent via certified mail. The assessor must include a copy of the applicable statute with the written request. Moreover, the assessor’s request can only be made for properties which are producing income. The property owner must respond in writing to the assessor’s request within 45 days, and if he fails to do so, will not be permitted to file an appeal of the assessment. However, if the taxpayer fails to respond, the municipal assessor is still required to determine the full and fair market value of the property utilizing all available information. Additionally, the statute does include an exception, wherein if the property owner had good cause for being unable to provide the requested information, the applicable county tax board may take that into consideration. Courts have construed the requirements imposed on the municipal tax assessor very strictly, due to the property owner’s resultant loss of the right to appeal if she fails to respond. New Jersey’s Tax Court has ruled that if the assessor does not comply with every requirement of the statute, “renders the statute inapplicable.” SAIJ Realty, Inc. v. Town of Kearny, 8 N.J.Tax 191, 197 (Tax 1986), including the provisions requiring the request be sent by certified mail and that a copy of the statute be included with the request. However, if the municipality meets the requirements of the law, the burden shifts to require the property owner to strictly comply with her obligations under the law, particularly responding in writing within 45 days. 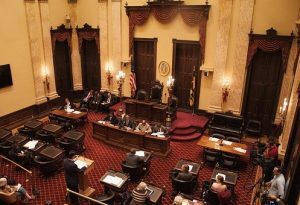 New Jersey courts have consistently construed the law against property owners even in situations where it seems unjust. For example, even if the assessor’s request is overbroad or illegal, as long as the assessor has met the statute’s requirements, a property owner’s failure to respond can still result in loss of the right to appeal. The taxpayer is then required to respond to those requests which are not objectionable and advise the municipal assessor as to why the remaining requests are improper. Moreover, a property owner must still respond the properly sent request even if the request is made of a non-incoming producing property. The Tax Court has even held that failure to respond to a request, even when the request is made as to non-income producing property, will result in the taxpayer’s loss of its right to appeal the assessment. Furthermore, the Appellate Division of New Jersey’s Superior Court upheld the loss of the right to appeal where the taxpayer sent a response after the 45 days had expired. The Appellate Division also ruled that an appeal was properly dismissed where the requested information was provided to the attorney for the municipality, but not the assessor. These decisions were all justified because of the important governmental interest and the statute’s mandatory wording.